PHILADELPHIA — A federal judge has sentenced a notorious Philadelphia abortionist who is already serving three consecutive life terms to an additional 30 years in prison for running an illegal pill mill. U.S. District Judge Cynthia M. Rufe stated that the sentence was meant to deter others who might consider engaging in similar unlawful activity. As previously reported, Gosnell was convicted of over 200 criminal counts this past May, including three counts of first-degree murder for killing babies born alive and charges surrounding illegal late-term abortions past 24 weeks. Gosnell waived his right to an appeal to avoid the death penalty, and was sentenced to three life sentences behind bars. 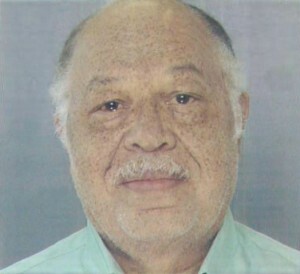 Gosnell, 72, was taken into custody in 2011 following an investigation into his practice called the Women’s Medical Society. Investigators had not initially been aware that Gosnell was running a late-term abortion facility, but visited the location over suspicions about the illegal sale of controlled substances. Undercover agents found that he had been dispensing OxyContin and other painkillers to drug addicts who often resold the pills on the street. During his seven-week trial, a number of Gosnell’s employees testified against the abortionist, outlining how they had witnessed Gosnell ending the lives of newborn babies by “snipping” their necks with scissors. He was ultimately found guilty of over 200 criminal counts, including three counts of first-degree murder. As Gosnell also plead guilty to running an illegal pill mill in July, his sentencing was held on Monday. Gosnell spoke at the hearing, stating that he was only trying to help drug addicts in the community through his unique rehabilitation methods. “It was almost like a concierge practice, in that I would take whatever time was necessary for an individual,” he said. But Assistant U.S. Attorney Jessica Natali told the court that undercover footage of one of the transactions indicated that Gosnell’s motivation was money and not rehabilitation. Judge Rufe ultimately agreed with the government, sentencing Gosnell to an additional 30 years–to run concurrently with his three life sentences—and a fine of $50,000. Gosnell’s employees, who have all plead guilty, will now be sentenced in the weeks ahead.